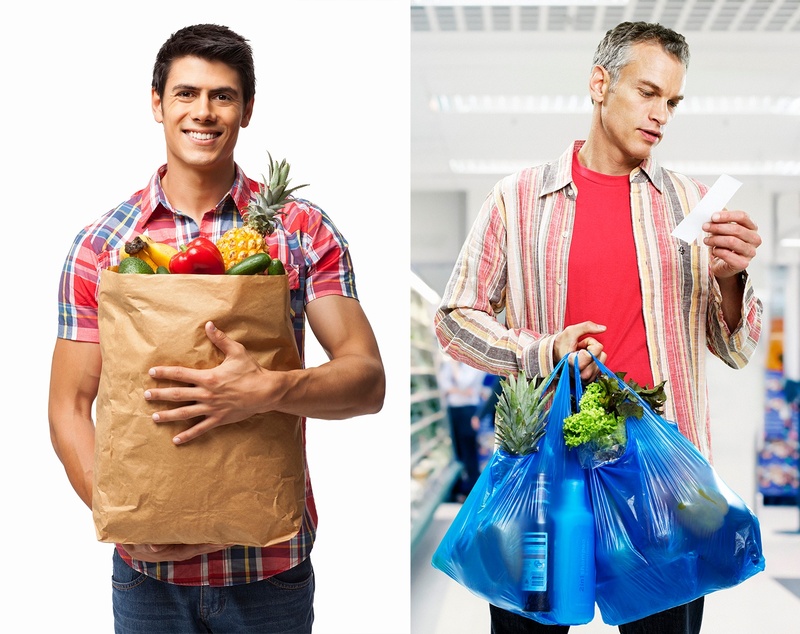 What does the classic grocery store inquiry, “Paper or plastic?” have to do with business license applications and renewals? The licensing world is currently divided between authorities with online (e-filing) systems for license applications, where payment can be made with plastic (credit cards), and traditional paper submissions that must be mailed or walked in with a paper (check or money order). State-level agencies are more likely than counties or municipalities to provide the ability to obtain or verify a license electronically. This is pretty logical, since a state agency will have both deeper pockets and a higher volume of requests justifying the initial outlay required to create such a system. While the majority of counties and municipalities still work with paper systems, the number that have online business licensing systems is growing and seems to be the wave of the future. So, which is better -- “paper” or e-filing? The answer might surprise you! Let’s take a look at this question from the perspective of the licensee and the licensing authority. Mailing or walking in a license application to do business in a particular city or town has advantages.Perhaps the biggest is data security. License applications often require a good deal of personal information from the business principals. With identity thieves on the prowl, online systems need to be very careful about protecting the information requested, especially what is called “Personal Identification Information” (things like social security numbers, birthdates and residence addresses). If the system is an online form where data is input, the authority has likely instituted the proper security procedures to protect that data. Still, hackers are everywhere in this day and age, and even very secure systems have been breached. While there is still risk even in a paper-based system, it is much more limited. A second advantage of paper applications is the ability to provide more “nuanced” answers to certain questions. Electronic forms often will not allow the user to proceed if a field is left blank and will limit the data allowed to the expected answer. This means it lacks the flexibility that paper has to deal with situations that are outside the norm, for example a foreign owner who does not have a social security number. A situation like this can easily be noted on a paper form, but often causes problems on electronic license applications. The last main advantage with a paper-based system is renewal reminders. In electronic license filing systems, a renewal reminder is likely to come via email. If the email gets caught in the spam filter or is addressed to an employee that is no longer with the company, it is highly likely it will not be received and the company will miss the deadline. When the reminder comes via snail mail, it is much more likely that someone will see it and get it to the right person to handle. There are fewer mistakes on licensing applications. While lack of flexibility can be a disadvantage, restricting what can be entered in a field, as can be done online, has a lot of advantages for both the authority and the licensee. Because electronic forms often won’t allow you to advance if you input data that doesn’t fit the question or skip a required question, fewer applications get rejected for bad or missing data. This saves time on rejections and resubmissions on both sides. The time-savings can be even more significant in the situation where the licensing authority inadvertently catches one mistake but misses another on the first review, creating twice as many delays when the error is caught on the second attempt to file. There is less chance for files to get lost. One misfiled document in a paper system can lead to a lot of problems for a licensee, when the license information can no longer be located. It creates problems for the licensing authority, which may try to track the file in its paper records or recreate based on information the licensee provides. Electronic systems can usually be searched in a number of different ways and this feature is often available to the licensee and the general public. It is often a faster and easier process. In many cases, applying online is faster and easier for both the licensing authority and the licensee. Data is entered directly into the computer systems for the authority, so there is no need to re-key, and license numbers can often be issued right away. Often, to allow time for an employee to review, a licensing authority will issue a temporary number and follow up with a permanent number once the full application has been read and approved. To illustrate this last point, let’s look at the process for obtaining a license in the city of Chicago, which uses a paper system, and the Illinois Department of Financial and Professional Regulation, which is moving to an electronic system. Step 1: Go online to the website for Chicago’s Department of Business Affairs and Consumer Protection to download the preliminary application form. Step 2: Complete the application, ensuring that the information input matches other records for the business in the state of Illinois. For example, the officers and directors listed with the Illinois Secretary of State must match what is listed in the licensing application. If there have been changes, you must file those changes at the Secretary of State’s office before submitting the application to the city of Chicago. Step 3: Walk the application into the department to have it reviewed. This is not necessarily a quick process. While department employees do their best to handle all requests as expeditiously as possible, there can be a long backlog and sometimes you need to wait for as long as two hours. Step 4: Department employees will review the preliminary application, provide information from that application to the zoning division and print out the appropriate full licensing application to be completed. Step 5: Complete the full licensing application and comply with any requests made by the Zoning Division (which sometimes requires lease agreements, schematics, or blueprints of the commercial space). Step 6: Return to the department with copies of passports or state issued IDs for all owners, officers and directors. If all is in order, you are issued an invoice for the $250 licensing fee which you can pay and then either wait for your certificate to be printed or ask to have it mailed (mail processing usually takes a few weeks). Contrast the above with applying for a Pharmacy Technician License with the Illinois Department of Financial and Professional Regulation (IDFPR). This department is moving toward an all-electronic license application system. Renewals are currently being handled electronically and some applications for new licenses can be handled fully electronically as well. Step 2: Complete the application. You will need to provide personal information, but the site does list security credentials. Step 3: Pay with a credit card. Now it is important to note that this comparison is not completely parallel, as the latter license is for an individual, so zoning ordinances and other criteria businesses have to meet do not apply. In many municipalities a combination of an online and in-person process is used. The application is initially submitted online, but subsequent requirements, such as arranging an onsite permit inspection, must be done in person. So… Which is Better -- Paper or Plastic? While paper does have its advantages (such as allowing flexibility of input in certain fields), electronic filing seems to be the clear winner when you consider the speed, convenience, record accuracy and cost savings, not to mention the elimination of paper waste.